We have a football team? Revisiting a long forgotten athletic past of UChicago. 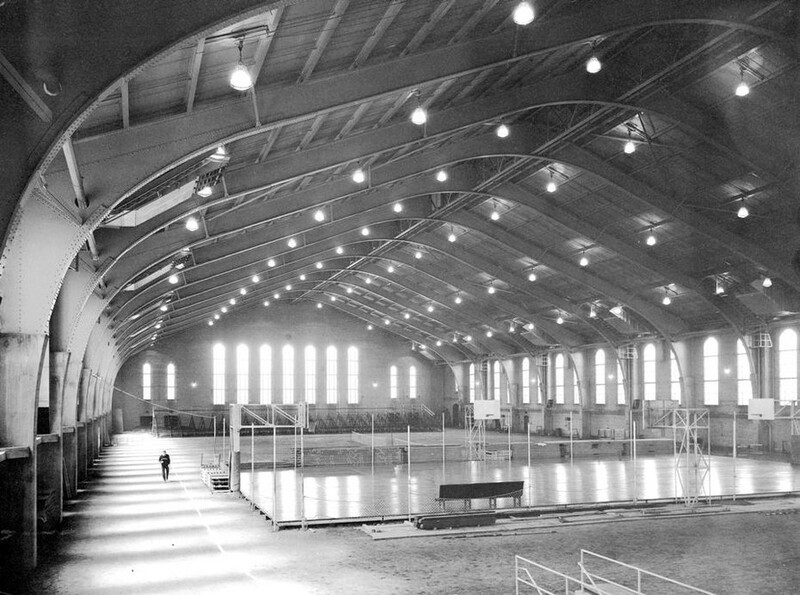 Henry Crown Field House in 1932. Every spring, UChicago’s male varsity athletes come together for the Order of the C awards banquet, one of my favorite events of the year. We celebrate the year’s athletic achievements, recognize departing seniors, and welcome first-time letter winners into the oldest body of varsity lettermen in collegiate sports, a group that dates back to 1904. However, our long-standing athletic tradition has been turned into a paradigm of our school’s removal of the “unnecessary” in favor of more academic pursuits. Most of us have heard about how UChicago was one of the founding members of the Big 10 Conference and home of Jay Berwanger, the first-ever Heisman Trophy winner. Our short-lived era of athletic triumph was ended by University President Robert Maynard Hutchins, who abolished the entire athletic department because “football, fraternities, and fun are designed to make a college education more palatable for those who shouldn’t be there.” This reprioritization of the school was symbolized in the subsequent demolition of the original Stagg Field and the erection of Regenstein Library. This is the story of UChicago athletics that has been broadly popularized: one in which the pursuit of genuine intellect has replaced the superfluous distraction offered by athletics, resulting in, “We have a football team?” being the most common question heard during Homecoming weekend. It looks like our storied athletic heritage was torn down back in 1939—but our campus is still filled with reminders of the sporting culture that once epitomized UChicago. A typical walk past Cobb Hall usually includes sales pitches from fundraising RSOs and the occasional lungful of secondhand smoke. Hidden behind all the bustle of our campus agora sits the C-Bench, rarely even given a second glance. Back in the heyday of UChicago athletics, the crowd was very different, and the C-Bench was a place of prominence. This was where UChicago athletes used to hang out. In fact, the C-Bench “was for the exclusive use of athletic lettermen (and the girls that they were kissing).” A space that is so frequently passed by without notice today was once the meeting place for some of the best and brightest athletes in the world. Similarly, the Reynolds Club seal had a slightly different tradition than the one known today. Instead of a fake curse that prevents graduating in four years, a step on the seal was given a very real and immediate punishment. If you were caught in such an act by an upperclassman athlete, you could expect to be promptly carried over to Botany Pond and thrown in—the seal was fairly free of footprints during that time. 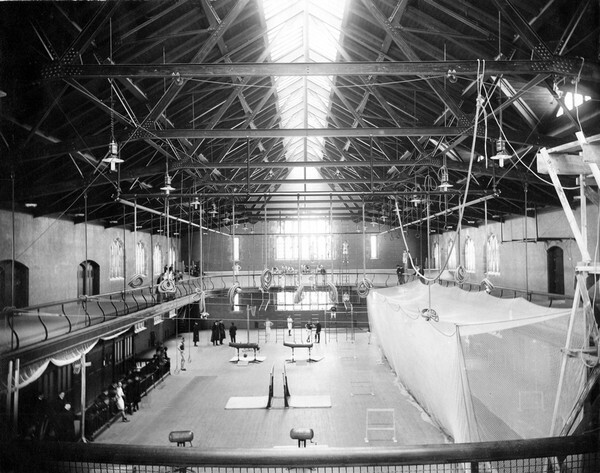 It probably comes as no surprise that Bartlett was once a gymnasium, but if you look back in our University’s photo archives, the place it once was is really brought back to life. This was a multi-functional athletic facility for everything from baseball to gymnastics. The Kosher station was once a batting cage, and the salad bar was a pommel horse. Henry Crown Field House didn’t always look the way it does now, either. It was actually built because the then–baseball coach wanted an indoor facility to practice where fly balls couldn’t hit the ceiling. So, instead of a two-story, somewhat partitioned building, Crown was built, a single open space with a dirt infield and a dirt track surrounding it. This was the site of baseball and football practice, along with major competitions like the Big 10 Indoor Track and Field Championships. A wooden floor was placed on top of the dirt for basketball games and practices. Given all these relics of UChicago’s once-thriving athletic culture, it’s really a wonder our sporting history is so easily forgotten. Current campus culture’s disregard for our present-day athletic teams is certainly disappointing, but it’s not a major problem; we compete because we love our sports and teams, not for campus notoriety. What’s more disappointing is the failure to recognize our rich athletic heritage, especially given all of the elements of this athletic history that are left on campus. In the decades following our University’s founding, athletics pervaded campus life. And so, the deep impact that sports made on UChicago during its infancy shouldn’t be forgotten just because the football stadium was replaced by a library. The stories of the spectacular athletes that helped our University make a name for itself shouldn’t be lost in the rubble of the original Stagg Field. Ryan Manzuk is a third-year in the College majoring in geophysical sciences.